A contributions approach is one way to set up an equitable lease rate. A new MSU Extension tool helps to calculate that rate by helping a landowner and livestock owner to tally their costs and returns from the lease, and split the proceeds accordingly. 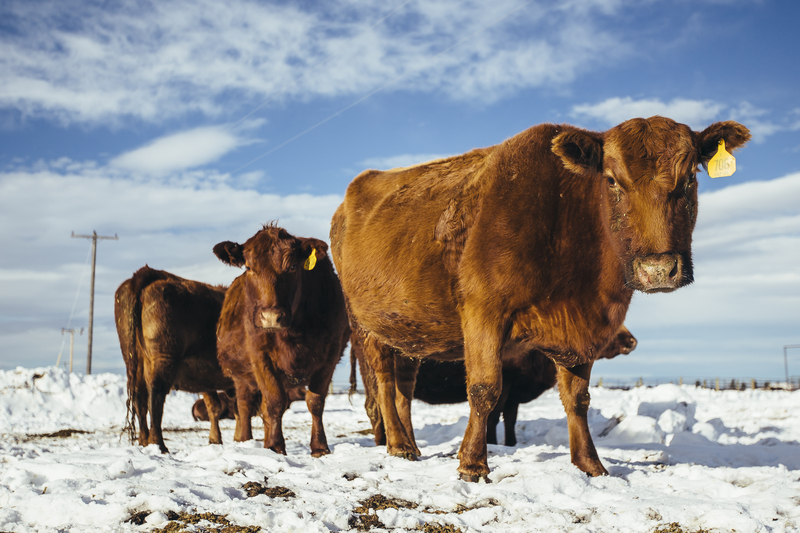 In Montana, most livestock leases are for cow-calf production. The rate would be set based on the value of calf gain, divided proportionally by the contributions of each of the two parties. The MSU pasture lease calculator is a version of a spreadsheet created for the AgLease101 website by Ray Massey and Matt Stockton. The MSU version was designed with cow-calf producers in mind. The default values are based on a sample cow-calf operation in eastern Montana. The calculator has three tabs—two worksheets and a summary of the results. The Landowner Cost and the Livestock Owner Cost tabs tally the contributions of the landowner livestock owner, respectively. Information buttons help fill out cost and revenue amounts, and explain the calculations being made. (For all formulas, download the AgLease101 version.) The Landowner’s Contribution is the minimum rental payment that would cover the landowner’s costs. The Livestock Owner Net Return on the Livestock Owner Cost Estimate tab shows the maximum the livestock owner would pay without losing money from the lease. The Implied Rental Rate on the Share of Gain tab calculates rates based on the return from selling animals and the contributions of each party. These calculated rates for the landowner and livestock owner can be as starting points in the lease rate negotiation. What lease rate value should I use? The calculator gives three values to consider, each of which is likely different. For example, the default values imply $18 is necessary to cover the landowners’ contribution (on the Landowner Cost tab). And, the livestock owner will lose money if they pay more than $27 (Livestock Owner tab). Between those two values there is room for negotiation. If the two parties split the value of the proceeds according to their contributions, the landlord would receive $25 per acre. Re-evaluating at the end of the season can help share the risk of the operation, and potentially, the reward from a good year. Note: This blog post is part of a forthcoming Western Extension Committee and Western Center for Risk Management Education publication. Thank you Ms. Fuller for this valuable research. I stumbled into finding your Pod Cast by mistake. It is great to see our extension service working on these beneficial topics. I just did not take the time to find out the “modern way” of learning what your department is working on.